Since 2004, CKD Martial Art Cartersville has provided its members with a road map to success based on self-defense, confidence and goal-setting skills. When my wife and I opened our academy in 2004, we made a commitment to serving and empowering the community of Cartersville by teaching children and adults the confidence, leadership, and fitness skills that can only be achieved through martial arts. Our programs have a strong focus on personal development. The foundations of our morals, values and core character traits are formed in our early years. For this reason, the programs at CKD Martial Art Cartersville are an essential way to enhance the growth and personal development of young students of all ages. Our facility is always inviting and comfortable, making everyone feel right at home! We use the best training products and technologies on the market in our classes. We always have at least one CPR certified instructor on hand. 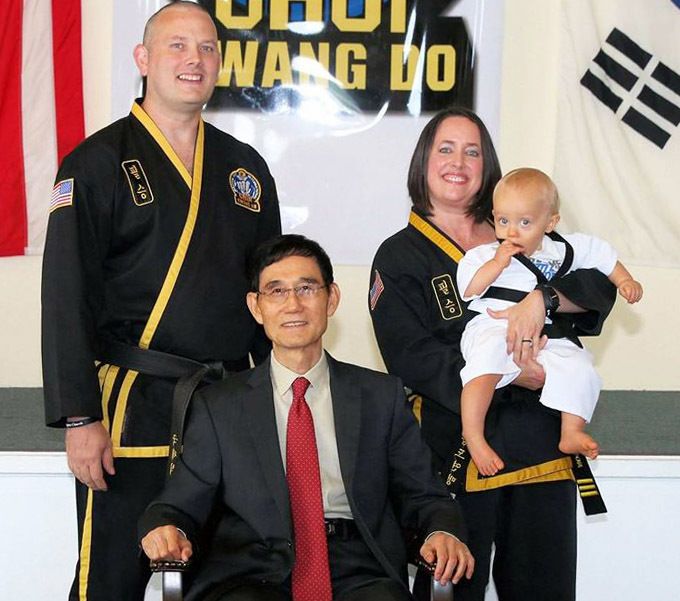 Our instructors have a background in Choi Kwang Do Martial Art and have brought that experience to Cartersville Martial Art & Self Defense. Cartersville Martial Art & Self Defense is led by Master Michael Wilson and his wife Deputy Master Angie Wilson. Joining the Wilson family is an awesome group of head and assistant instructors dedicated to excellence. Master Wilson has almost 20 years’ experience and was promoted by Grandmaster Kwang Jo Choi, 9th Degree Black Belt, in May of 2018. The Wilsons have been teaching in the Cartersville community for over 15 years now and have worked with thousands of students during that time. Cartersville Martial Art & Self Defense is a refined and scientific martial arts form, distinctively different from all classical martial arts in concept and movement. It should not be put into the same category with many of hundreds of sub-styles of existing martial arts systems.